Summer is (nearly) officially over and that means only one thing to many Americans — the start of a new season of pro football! 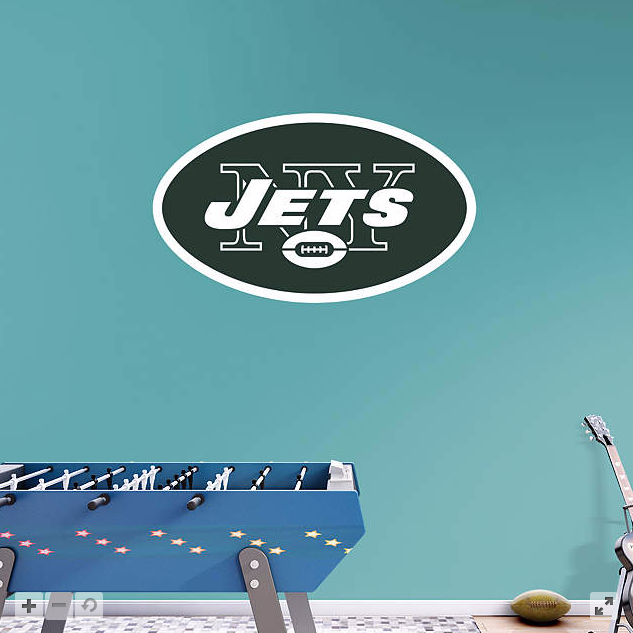 But unlike many other football fans across the country, New Yorkers have the choice of two NFL teams, the New York Giants and the New York Jets, to live and die for every Sunday, Monday and Thursday night for 17 weeks. 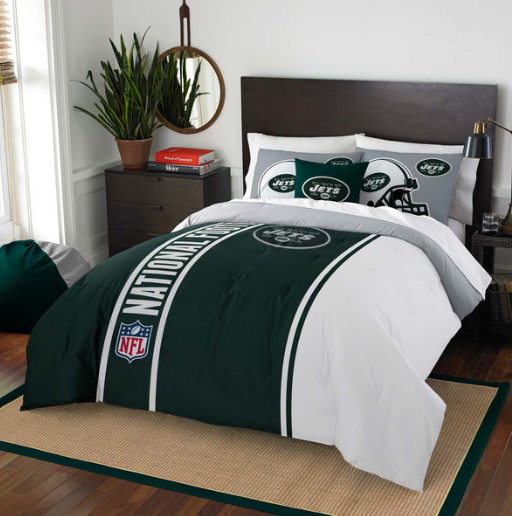 But what do you do when the unthinkable happens — you love the Giants, but your roommate loves the Jets? 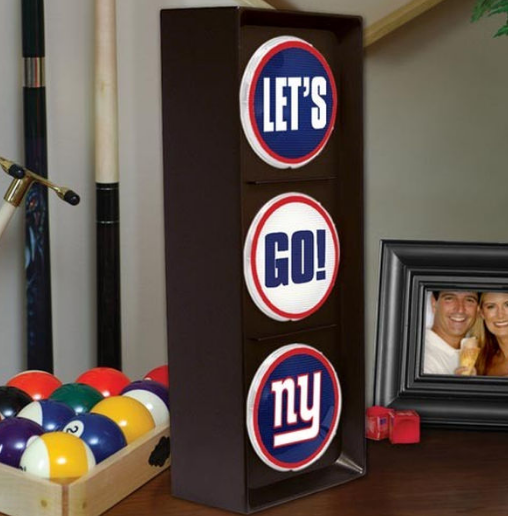 In the spirit of good sportsmanship and compromise, we suggest taking a look these 20 official NFL home decor tips to show your team spirit and keep the peace in a divided house as week one of the 2016-2017 NFL season comes to an end! 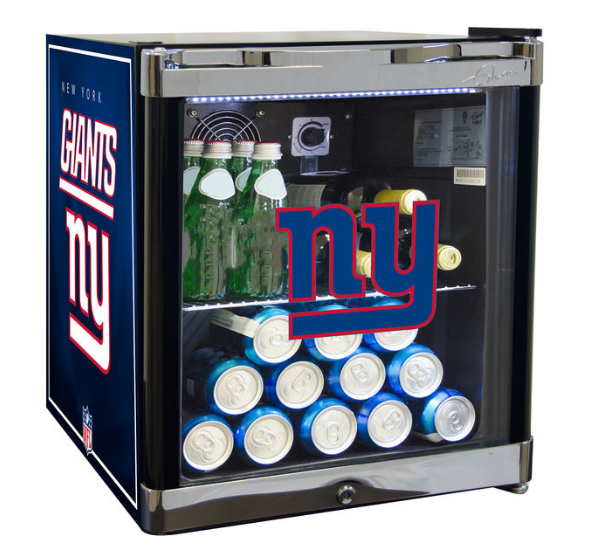 Though it bares only one team’s logo, it holds something you both can enjoy — a nice cold drink while watching some football! Everybody wins. 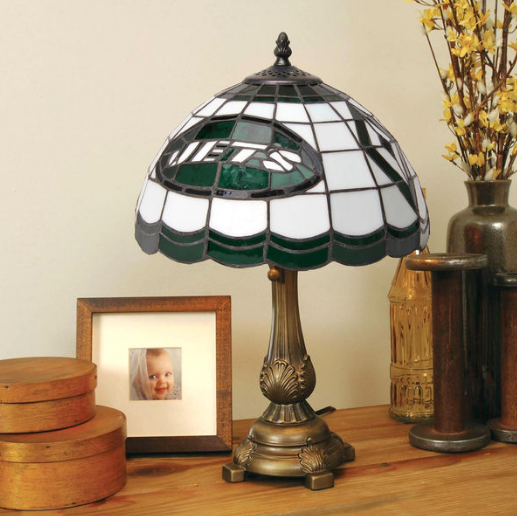 Like all of the items on our list, these are available for both teams — and they’re easily swappable. 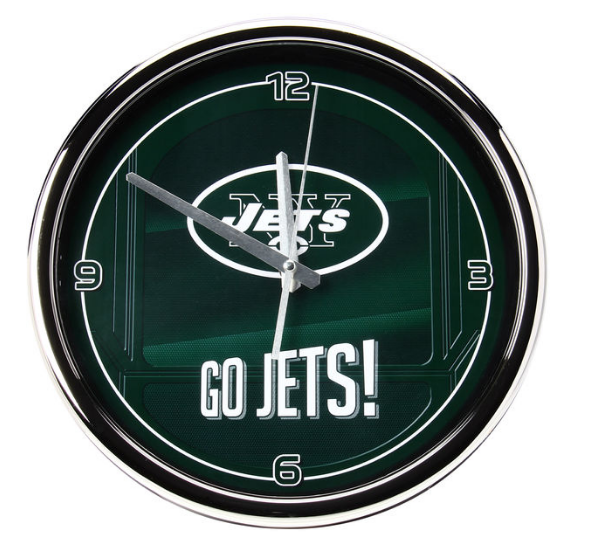 So why not alternate depending on whose team is playing at home that week, or just string up both on opposite walls. Depending on how much floor space your living room has, it would be possible to get one of these uber-cool end tables for each of you. 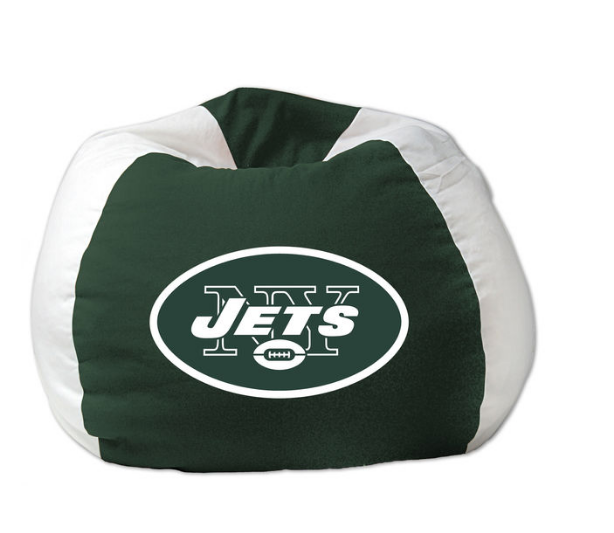 Because it’s a big bean bag chair and why not? 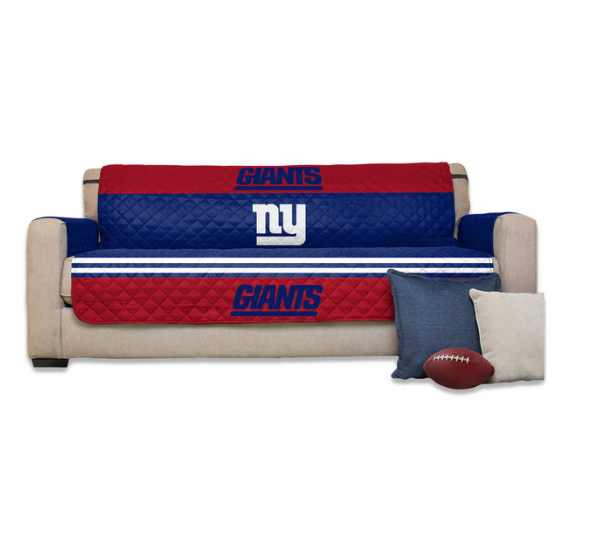 They’re also a lot easier to move, and throw out if you get frustrated with your team’s performance than an actual sofa or love-seat. 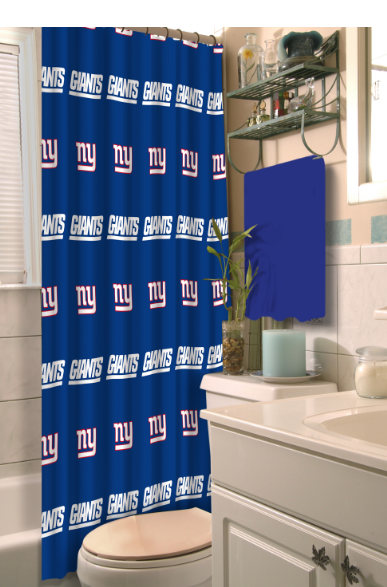 While maybe not as easy to string up every week as the string lights, it is possible to swap out the shower curtain. Pairs well with item number 17. Definitely more of a financial commitment, and space eater — but it reclines! 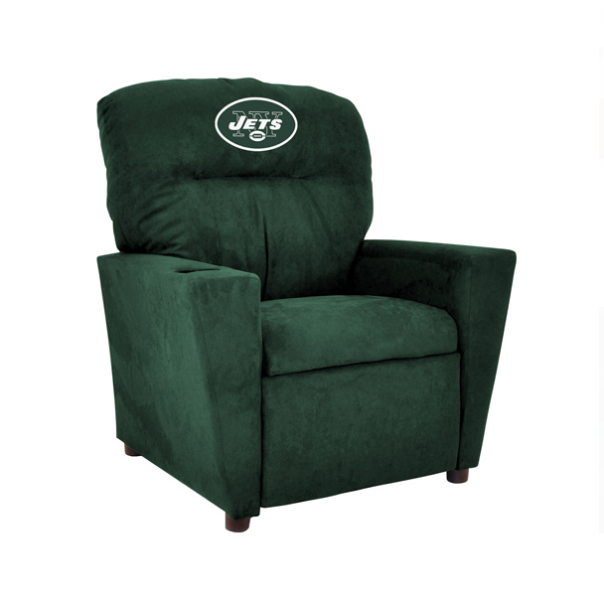 Less of a commitment than an actual team embroidered recliner, and completely swappable. Plus, they’re machine washable — just in case there’s some spillage from all the jumping up and down. 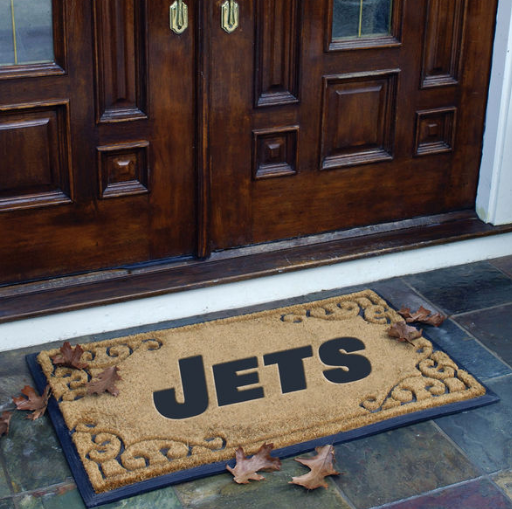 A simple but perfect compromise — one outside the door, and one inside — this way neither team has to feel like they’re being stepped on! 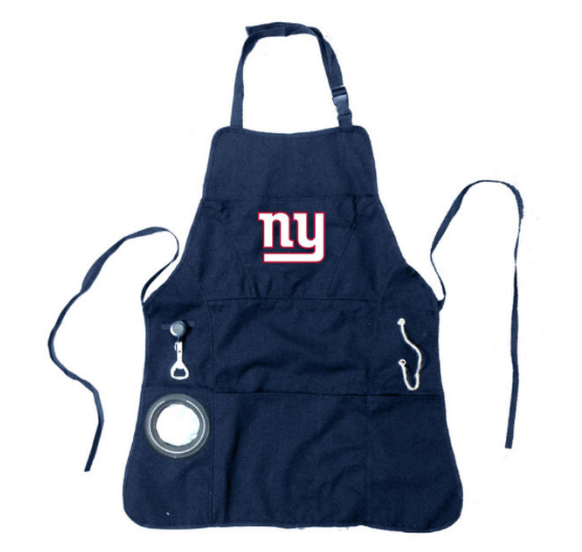 Yes, it has a bottle opener and pouch to hold your freshly opened bottle. This season’s must have fashion accessory right there. You’ll wonder how you got through so many seasons without it. Functional, practical, and eye catching. 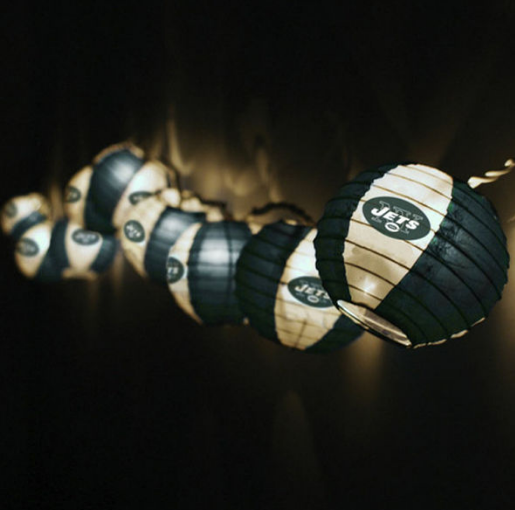 Why not light up the room with your team spirit? 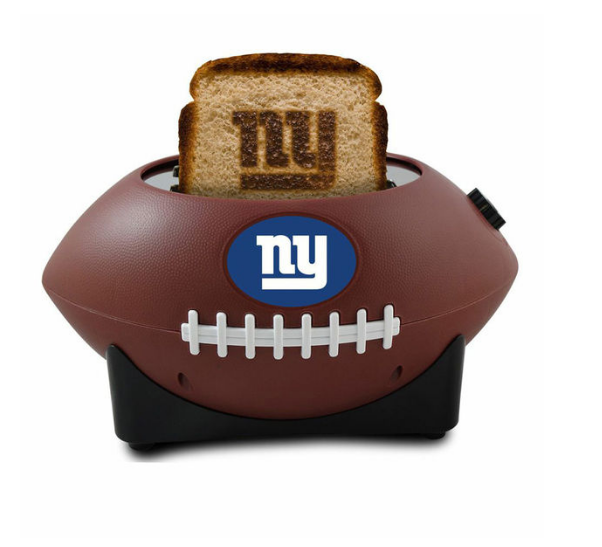 Even your food can show your team spirit as well. Another win-win. Fast, removable, and the least expensive item on the list at $12.50. Add a set of string lights and boom — now you have a simple theme going on. 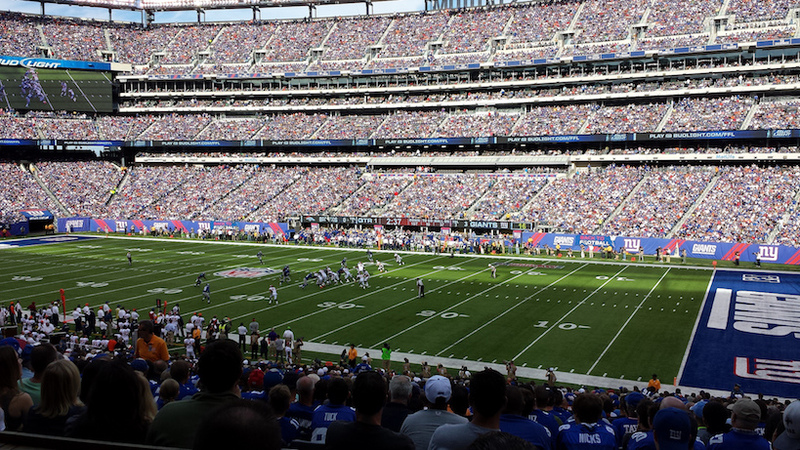 Small enough and cool enough to make it clear who you’re rooting for. 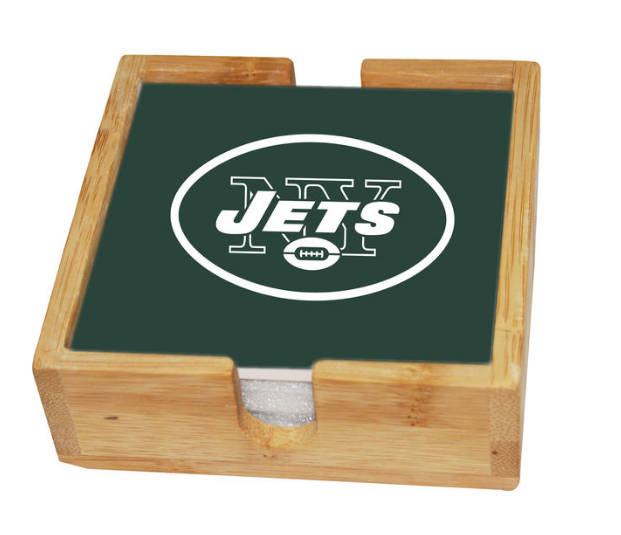 Portable enough to take into your man-cave if your team suddenly falls to last place. If you’re going to be obsessed for 17 weeks, might as well go all the way. Another simple, removable compromise to keep the house team specific every week. Completely practical — you don’t want to miss kick-off, do you? 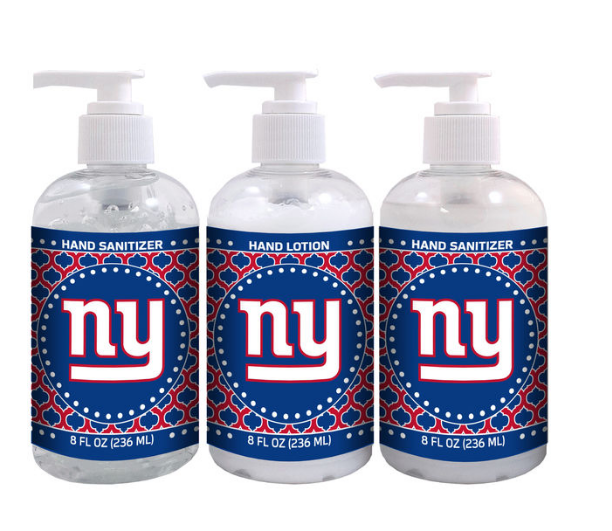 Because nothing says team spirit like official hand lotion and hand sanitizer. Clap in rhythm with your Let’s go! light with clean and soft hands. Pairs well with items number 5 and 13. 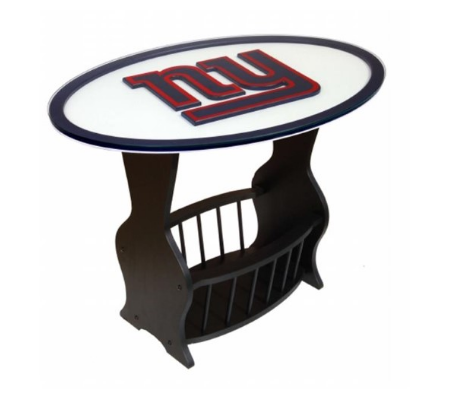 Your living room needs a coffee table, and they make them team specific, so we say just go for it! Makes for a great pairing with the mini-fridge and number 20 below! 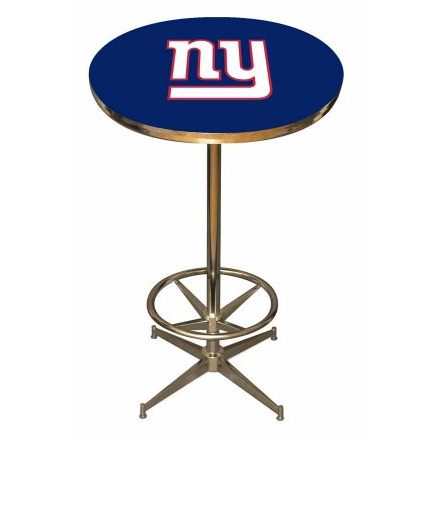 You don’t want rings on your new, official coffee table, do you? 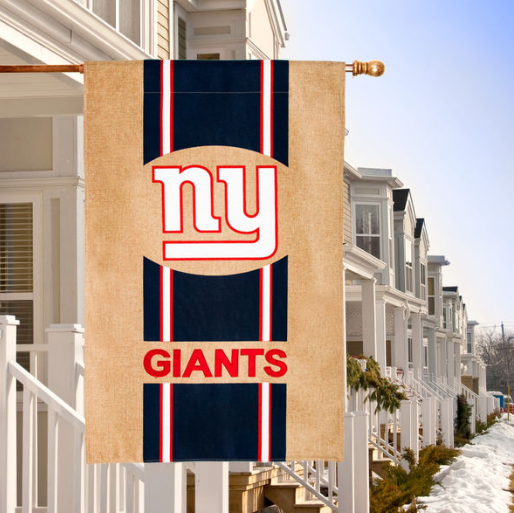 These home decor tips should make your apartment THE place to watch this week’s game, and let you and your roommate co-exist in peace for the next 17 weeks.